The EGO POWER+ system boasts a revolutionary charging system. In just 40 minutes, a depleted 2.0 Ah battery can be fully recharged with the 56 Volt Charger. The active cooling fan system supports rapid charging without overheating. The quick recharge capability ensures limited downtime with any battery in the EGO platform. 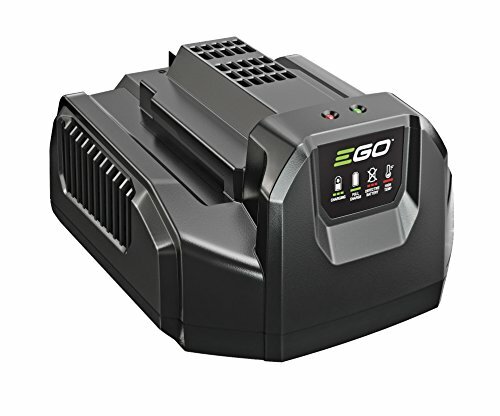 All EGO out door power equipment comes with a 5-year limited warranty and 3-year limited warranty on EGO POWER+ System battery packs and chargers. Please contact EGO Customer service Toll Free at 1-855-EGO-5656 any time you have questions or warranty claims. If you have any questions about this product by EGO Power+, contact us by completing and submitting the form below. If you are looking for a specif part number, please include it with your message.